Often, entrepreneurs are too eager to seek funds from relatives, friends and other investors in the hope of converting their business ideas into operating businesses in exchange for equity – an ownership interest – in the enterprise, without considering the consequences presented by this form of capital raise. Start-ups rarely expand their business without selling equity in the company, but should this be the primary method of raising capital when attempting to get out of the gate? Does borrowing, with certain limitations, make more sense? 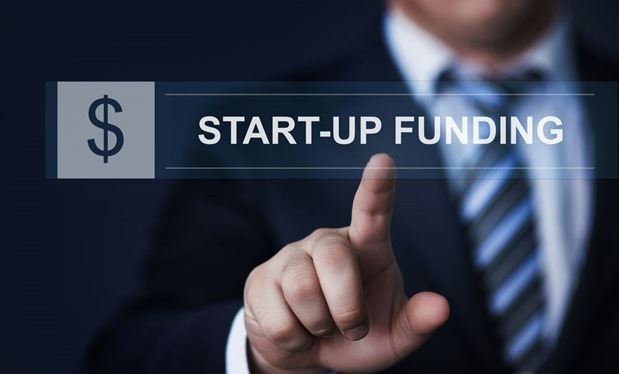 This article examines some disadvantages of raising capital in exchange for equity during the early stages of a start-up and discusses the benefits of pursuing convertible debt as an alternative. Valuation and Control of Business. When considering sale of equity in a start-up, the primary question is one of valuation because, without having a firm idea of what the business is worth, founders might risk giving up too much for very little in return. (Investors, too, especially those with little or no familiarity with assigning a value on businesses, face the risk of overpaying for the percentage and type of equity they would receive in exchange for their investment.) Naturally, given the limited resources available to entrepreneurs at the early stages, obtaining an independent appraisal for the business is impractical and, therefore, not common. Such inequities are avoidable in a borrowing (see later) and diminish with time, as the business grows and brings a greater degree of certainty to the value and, thus, a fairness to the parties involved. Another concept frequently overlooked by entrepreneurs is the loss of control associated with selling equity, which comes in the form of granting board seats and other contractual commitments to investors. Under certain situations, the lack of control or a violation of such commitments may lead to the removal of the founders from the business – an outcome neither anticipated nor desired by an entrepreneur. Debt versus Equity. At the risk of oversimplifying, debt needs to be returned to a lender whereas equity typically stays with the business. Actually, there’s a lot more to the distinction between the two forms of financing. Debt does not appreciate in value (apart from the earnings through interest); equity increases with business growth and offers the potential of lucrative returns to the investor. On the other hand, debt, like equity, may not be recoverable when a business fails. For a business, the costs of borrowing money include the payment of interest, the limitation of time within which the loan is to be paid off or risk bankruptcy or foreclosure and the inability to borrow again – consequences generally not experienced when raising money through the sale of an ownership interest in the business. Features of Convertible Debt; Things to Avoid. Broadly speaking, a convertible debt is a promissory note accompanied with a special feature that allows conversion of the amount outstanding under the note into equity of the borrowing entity upon the occurrence of certain events. Similar to a promissory note, a convertible debt instrument describes the amount borrowed, term of the loan, interest rate and consequences of non-payment. The convertibility aspect describes (1) the timing for conversion, which is typically a time in the foreseeable future when the business raises new capital, (2) the valuation to be used when computing the conversion of debt into equity, which is linked to the valuation deployed for the new capital raise, and (3) the conditions of conversion, which generally require a mutual agreement between borrower and lender and, occasionally, include a discount feature favoring the lender. (Note that the discount feature, which allows the lender to convert debt into equity using a price lower than the price at which the business sells equity in the new financing round, raises tax issues that are not within the scope of this article.) Borrowers should be careful and avoid giving assurances of repayment of debt (by issuing individual guarantees) or agreeing to controls imposed in the form of negative covenants that require lender’s permission for certain business activities. Obviously, the size of the borrowing will impact the final terms, but, for capital raised through debt at early stages by start-ups, guarantees and the use of negative covenants are uncommon. Using a convertible note to raise capital at an early stage avoids the perils associated with an unknown valuation of the start-up’s business (for both parties) and prevents giving up control (by founders) until the later stages of the business when the extent to which control might be conceded can be carefully measured. In times when investors are looking to invest in businesses with promise and entrepreneurs are routinely conceiving promising ideas, raising capital through convertible debt provides a balanced alternative.